Closeout. 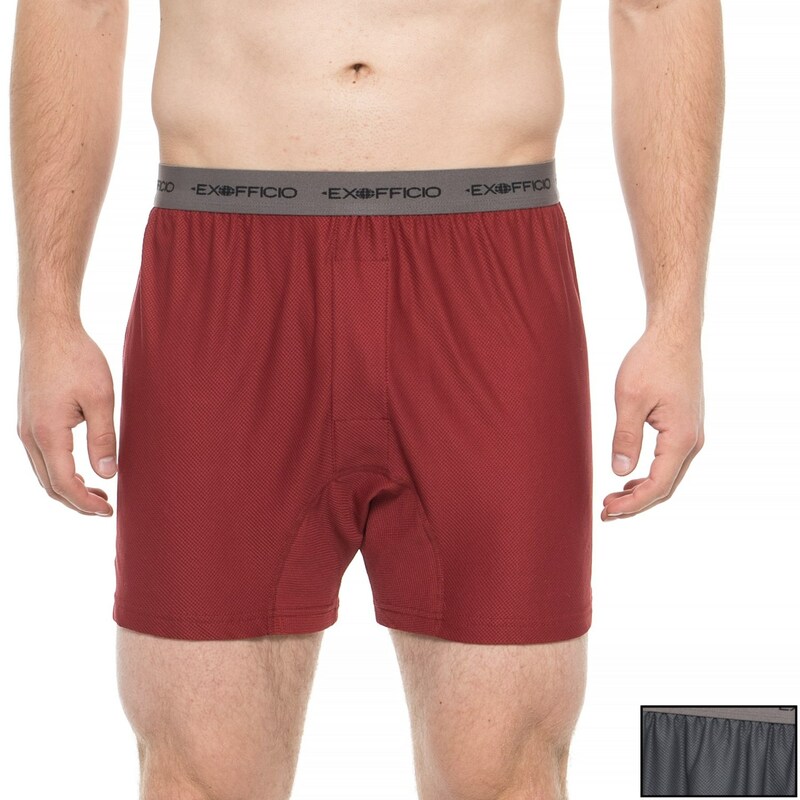 One pair of underwear for a range of activities — it’s not a dream, it’s real, thanks to the e ExOfficio Give-N-Go® boxer briefs. A stretchy blend of sport mesh fabric moves with you from coast to coast and across continents, and you can wash-and-wear in short order thanks to their quick-dry treatment.